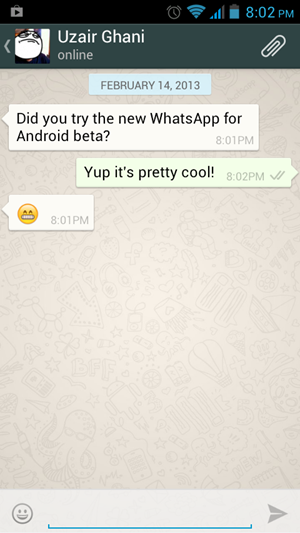 A new beta has been released of WhatsApp Messenger for Android featuring, among other things, a new, Holo-style theme much better suited to the general look and feel of Android in general. The app has, hitherto, looked like a straight port of its iOS cousin, but with the security issues of yesteryear now having been resolved with WhatsApp Messenger for Android, the developers behind the popular app can now focus on aesthetics and features. As well as the beautiful Holo theme, it also looks as though the beta also contains new expandable notifications, making the general functionality of the app in general just that little bit more streamlined. Expandable notifications make everything seem tidier and more natural, and with WhatsApp always seeming a prime candidate for the feature, it’s good to see the WhatsApp team finally implement it. Since the official app over at the Play Store doesn’t appear to have been updated just yet, you will have to manually download the .apk file of the beta and install yourself. Still, that’s not too much trouble considering what you receive in reward for your slight inconvenience, and it marks a step away from what always looked like an exact replica of the iOS version. The new look hopefully represents a new start for an app dogged by those nagging security issues not so long ago. Back in September, we reported of WhatsApp Messenger for Android’s vulnerabilities, and that wasn’t the only occasion the app had come to the forefront for all the wrong reasons. But that era now appears to have been closed, and with issues resolved, the world’s favorite cross-platform chat app looks to have turned a corner. 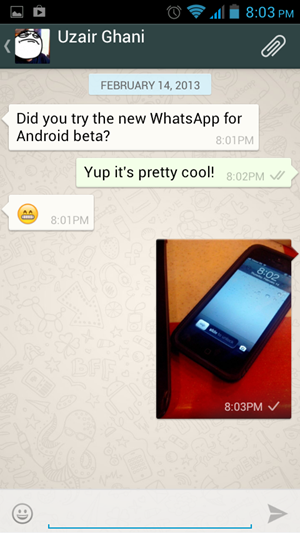 As ever, the trial period for WhatsApp Messenger lasts for a year, with an annual service charge of $0.99 thereafter. If you have already paid, you will not be charged again to use the beta, and thus I highly recommend you check it out via the link below. Check out our Android Apps gallery to explore more apps for your Android device.